With an abundance of South and East-facing light Rogue Daylight Studios is a unique and central photography location in the heart of Chelsea's energized art district. Situated in the iconic West Chelsea Building and overlooking the Highline, RDS is made available as a blank canvas ready for creatives, celebrities, designers and fashionistas to have fun and actualize their creative vision. Studio A is suitable for smaller shoots with a max of 10 crew and models. 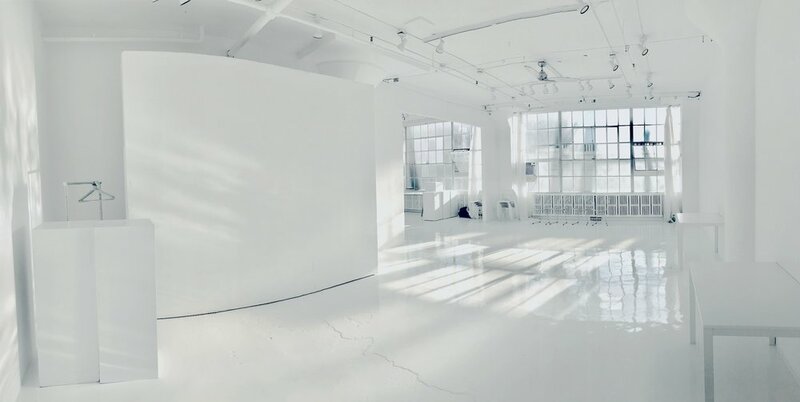 The space is drenched in all day natural South facing light with immaculately maintained white floors and walls. Studio A is separated from Studio B by a 12 ft moving wall which maintains complete privacy and which can be used for storage. * A studio representative is required for the first two photoshoots at Rogue Daylight Studio to familiarize you to the building, it's facilities and protocols. Studio A and B can be combined by removing a dividing 12 ft moving wall to create an open 2000 sq ft space drenched in all day southern light. The space is suitable for up to 20 crew and models. Studio A, B and C can be combined by moving two 12 ft walls to create one amazing 3000 sq ft space that has both South and East facing light. Studio C has two fully windowed sides and an awesome view directly over the Highline. Option C is out most glamorous offering for larger and corporate shoots. 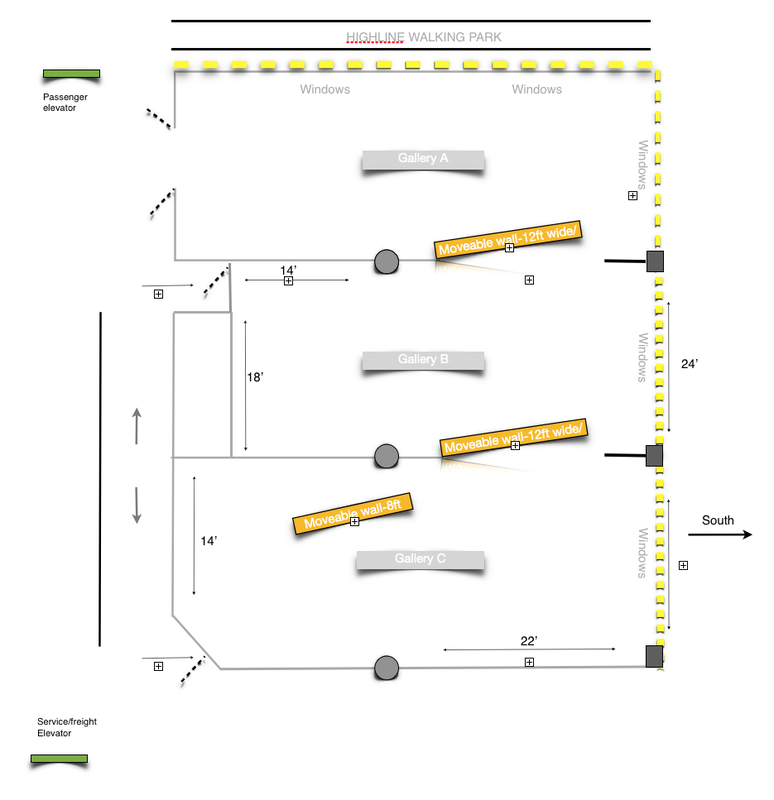 Commercial loading docks and elevators. The freight elevator runs until 5:30pm. If you'd like us to call or text you.